Explore beautiful Amsterdam with a stroll down its enchanting cobbled streets and tree lined canals. 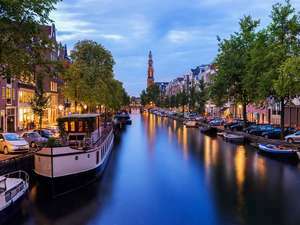 With many attractions to visit such as the Anne Frank House Museum, the Heineken Experience or the famous floating flower market; Amsterdam is a fantastic place for a short break away. I take it this is another one of the standard "spend 2 days travelling and a couple of hours in the city" HUKD amsterdam deals? Cant imagine anything worse. 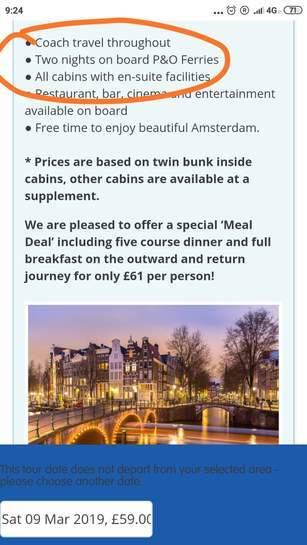 These deals seem to exist solely as a vehicle to get people spending money on the ferries, spending time in amsterdam is an afterthought. Its an amazing city that you could spend days exploring several times over - no idea what i would even do with just a couple of hours. do yourself a favour and get a flight and a cheap airBNB. Flapjack and a shigarette? No....... den dere ish no pleashing you. Does that also include the daily tourist tax - €8 per person, per day? People looking at this deal might want to factor this cost in, if it is not included. Apparently those dastardly deal hunter tourist are not the type of high value/spending tourist that some officials in certain cities want. I take it this is another one of the standard "spend 2 days travelling and …I take it this is another one of the standard "spend 2 days travelling and a couple of hours in the city" HUKD amsterdam deals?Cant imagine anything worse. These deals seem to exist solely as a vehicle to get people spending money on the ferries, spending time in amsterdam is an afterthought. Its an amazing city that you could spend days exploring several times over - no idea what i would even do with just a couple of hours. do yourself a favour and get a flight and a cheap airBNB. The ships tend to get full of druggies wanting a blow out in the Dam... and thus are not enjoyable ..at all..
Life is too short to take more 15 hrs to get to Amsterdam in 2019..
Cheap but I'd never travel with national again. Went to Cornwall from Yorkshire, but they took us by way of some city in the south east as someone had missed their coach or some bs... Which we were only told about when we'd already gotten on the coach on the day. So it took about 14 hrs for us to get to our destination, instead of 8, by which time we'd all about lost the will to live. Never again! Cheap but I'd never travel with national again. Went to Cornwall from …Cheap but I'd never travel with national again. Went to Cornwall from Yorkshire, but they took us by way of some city in the south east as someone had missed their coach or some bs... Which we were only told about when we'd already gotten on the coach on the day. So it took about 14 hrs for us to get to our destination, instead of 8, by which time we'd all about lost the will to live. Never again! So they fkd you all for one person??? I think it was 2 people, but yeah. If I'd have known beforehand I'd have cancelled. My friend had something similar when she booked a trip to bruges recently. She booked the trip, then she called them ages before the departure date to check that the itinerary wouldn't change, because of my problems. Anyway, turns out it had, there were loads more pickups than she'd been told when she booked, so she told them she wanted to cancel, but they wouldn't give her deposit back. 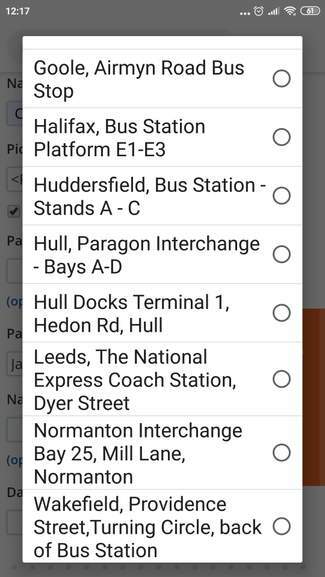 I really would avoid national, unless you really don't mind going on magical mystery tours all round the country before you get when you're going.